If you’re struggling to find a wedding gift to buy for the bride and groom that have everything – including a wedding in Thailand – why not treat them to a surprise during the trip that they will remember for years to come? While many brides and grooms still opt for the traditional wedding gift list; some thoughtful guests like to be more original and surprise their friends with a more meaningful present instead. If your best friends are saying their vows in Thailand, why not select a gift that will help them remember their time in the Kingdom? This doesn’t have to mean buying them reams of Thai silk or an ornate piece of traditional Thai artwork either. Instead, you can surprise them with an activity that will help them get the most out of their honeymoon. Below are a few ideas for memorable gift activities that are sure to be appreciated. 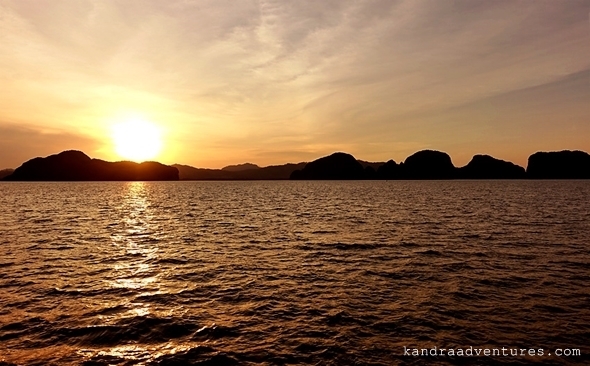 A balmy climate and friendly trade winds make Thailand one of Asia’s premier sailing destinations. If you want to surprise your friends with a super romantic start to their married life, why not book them onto sunset champagne cruise? Phuket, the gem of the Andaman Sea, is right on the doorstep of stunning Phang Nga Bay, a wonderful destination for the happy couple to explore on a privately chartered yacht, or even an authentic Chinese-style junk. Likewise, the pristine waters of the Ang Thong Marine Park near Koh Samui are ripe for exploration, and a sunset cruise will set the mood for true romance. If you have the type of friends enjoy activities that will get their pulses racing, consider sending them into the Koh Samui or Phuket jungle for a canopy ride. In Phuket, the Flying Hanuman zip-line allows brave explorers to speed through the jungle no less than 40 metres above the ground. 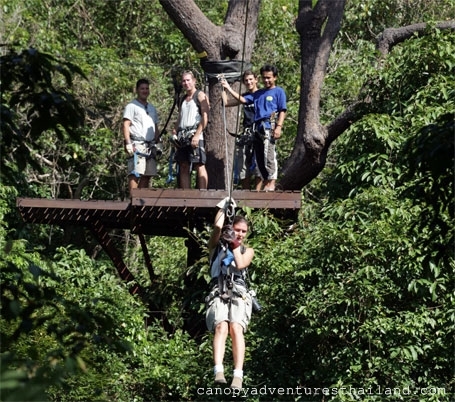 Over on Koh Samui, Secret Falls Canopy adventures gives visitors the chance to explore the jungle via a combination of zip wires and treetop platforms. Dazzling views, the chance to get up close to Thailand’s exotic flora and fauna and a rocket ride through the forest are just a few of the highlights the happy couple will remember. Planning a wedding can be stressful, so your newly wed friends are going to need some relaxation downtime once the big day is over. Luckily, Thailand is brimming with first rate spas, so opportunities for true relaxation abound. The majority of high quality spas offer tailored couples packages which include a selection of indulgent treatments, from aromatherapy massages to reflexology pedicures. If your friends hosted their wedding in one of Thailand’s lavish private villas, you could even hire a couple of professional therapists to give treatments in the privacy of their own luxurious wedding accommodation. For many people, part of the joy of travelling comes from the fantastic dishes and tastes that different countries have to offer. The distinctive flavours of Thai cuisine are popular across the world, and are likely to be something your newlywed friends will want to enjoy even when they head back home as man and wife. Cooking classes are particularly popular in Thailand, and usually involve a trip to the local fresh produce market and a prep and cooking session followed by a feast. There are plenty of top quality cooking schools on Phuket and Samui, and once again, if your friends tied the knot in a private villa, you could arrange with the villa manager to have a professional chef teach them a few tricks of the trade in their very own kitchen. Lush tropical surroundings, a relaxed atmosphere and an extensive cocktail menu all add up to a fabulous afternoon at a beach club. Whether your friends got married on Phuket or Koh Samui, there are a number of chic beach clubs where you can book a private day bed and drinks by the pool to surprise them after their wedding. 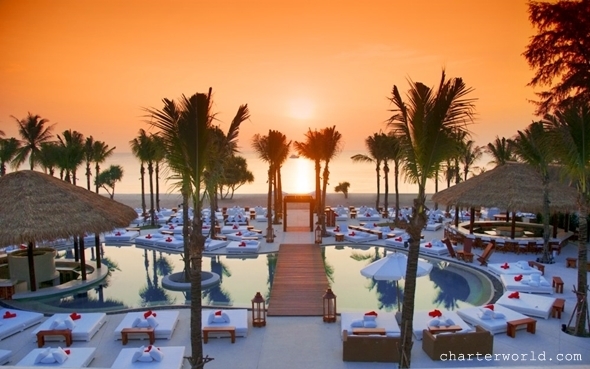 Phuket’s Nikki Beach Club boasts a laid back, stylish ambience, and is a great place to enjoy a champagne brunch. On Samui, Beach Republic (on Lamai Beach) is the place to be for panoramic views, fine food and a few choice snacks and beverages enjoyed in a breezy, cushioned private cabana.